TWU National Secretary Michael Kaine said: “This is a joke. Qantas is trying to appear to be sharing its bumper profits with its workforce but that is far from the facts. In Qantas Catering, 60% of staff are employed through labour hire firms and they so won’t get the bonus at all, despite being with the company for up to 12 years. 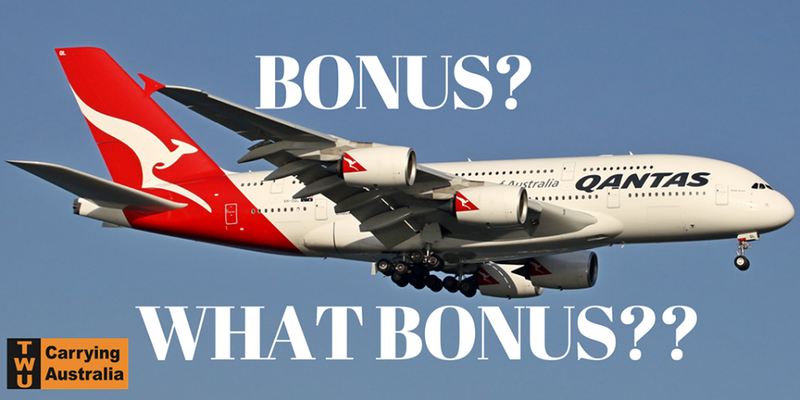 Qantas short-haul cabin crew 2020 won’t get paid the bonus until 2020 and Qantas long-hour cabin crew until 2021, when their agreements expire. In Qantas Ground Services almost all employees are on forced part-time hours, and struggle to support their families. 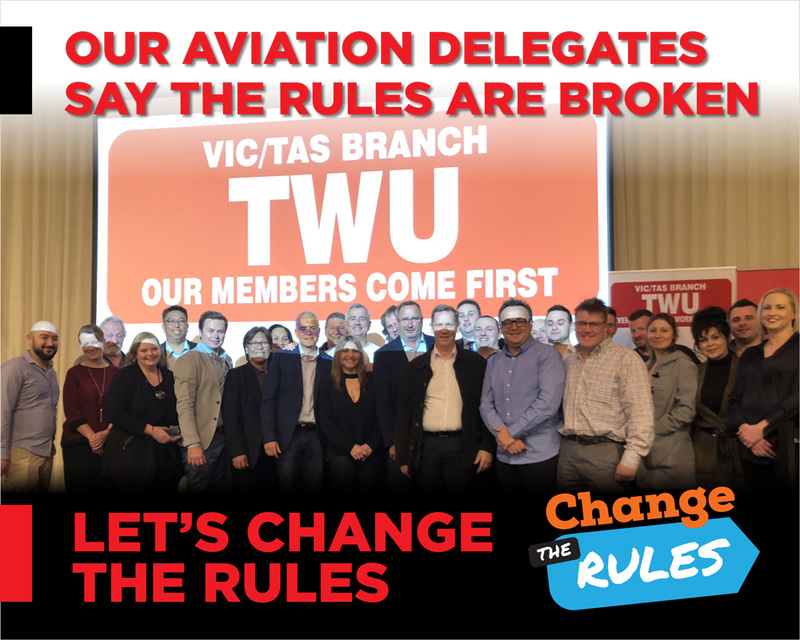 “Wage freezes, below award payments, non-payment of allowances and split shifts are a feature of the aviation industry. The public is ultimately losing out because of these poor conditions with services downgraded and safety at risk over high turnover rates, chronic fatigue, deliberate under-staffing. The Federal Government is refusing to hold companies to account while airports and airlines make billions of dollars in profit,” Kaine added. Other aviation companies have been in the firing line over poor rates and conditions. Jetstar was recently exposed for exploiting overseas cabin crew, who work long hours and are paid a base rate of just $100 a week. Workers with ground services company Aerocare are forced to sleep at the airports because of low rates and split shifts, which can see them at work for up to 15 hours a day but paid just 6 hours.